McNeel has released Neon 1.0, a plug-in for Rhino 5.0. Neon is a real-time fully ray-traced viewport plug-in developed in collaboration with Caustic. Existing Rhino 5.0 users can download it free of cost from here. Neon adds a new viewport mode to Rhino called “Raytraced with Neon”. There is no other UI to it. Neon supports all the rendering features of Rhino – sun, skylight, ground-plane, standard materials, textures, etc. The advantage of real time rendering is that the view is immediately rendered as you modify anything in the model or navigate around it. This lets you decide on stuff like materials, textures, lighting, etc. as you model. You don’t need to interrupt your modeling to fire up a render or set object and scene properties after you are done modeling is complete. People on the Rhino Community have posted some amazing pictures of their Neon viewports. 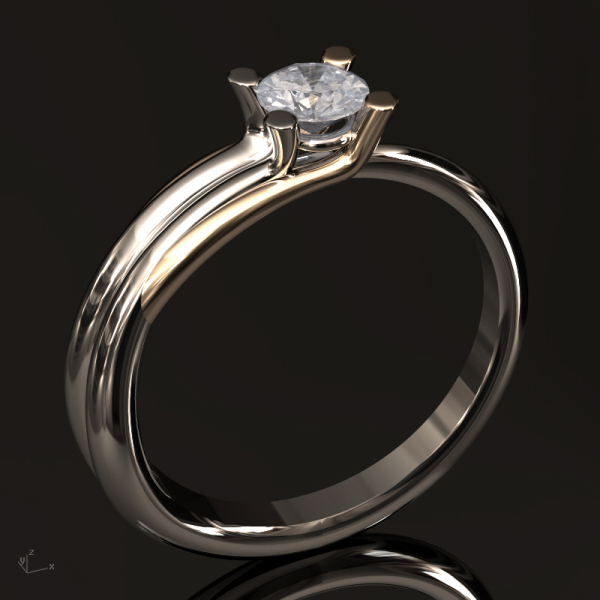 Here is a picture of a diamond ring by Claudio Gussini. Here is a video showing how Neon for Rhino works.